The Bodyguard will premiere in Sydney at The Lyric Theatre on 22nd April 2017 and will now be followed by a second season in Brisbane from July 2017 at The Lyric Theatre, QPAC. 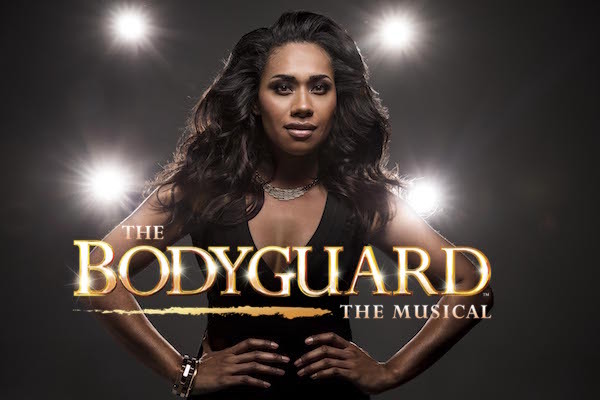 It was recently announced that Paulini, one of Australia’s finest vocalists and performers will play the leading role of Rachel Marron in the international award-winning hit musical – The Bodyguard – based on the movie of the same name starring Whitney Houston and Kevin Costner. Australia first fell in love with Paulini and her impressive five octave range during the inaugural series of Australian Idol. One of her childhood idols was Whitney Houston, and Paulini won the National Star Search Competition in her teens with her rendition of Whitney’s timeless classic ‘When You Believe’. The Fijian-born singer songwriter went on to release three highly acclaimed albums, and has travelled the globe from New York to Los Angeles, Paris and London, collaborating with some of the world’s best music producers. With her incredible voice, stunning looks and engaging personality, Paulini is one of Australia’s most uniquely talented performers. Based on the smash-hit Warner Bros 1992 film starring Whitney Houston and Kevin Costner and written by the acclaimed, Oscar-nominated screenwriter Lawrence Kasdan (Raiders of the Lost Ark, The Big Chill, The Empire Strikes Back), The Bodyguard features a book by Oscar winner Alexander Dinelaris (Birdman). The story? Former Secret Service agent turned bodyguard Frank Farmer is hired to protect superstar singer Rachel Marron from an unknown stalker. Each expects to be in charge – what they don’t expect is to fall in love. A brilliant, breathtakingly romantic thriller, The Bodyguard includes a whole host of Whitney Houston’s greatest hits including Queen of the Night, So Emotional, One Moment in Time, Saving All My Love, Run to You, I Have Nothing, Greatest Love Of All, Million Dollar Bill, I Wanna Dance With Somebody and one of the greatest hit songs of all time – I Will Always Love You. Previous Post It's A Calamity!